Veteran San Francisco selector Solar has been in the game for nearly two decades hosting the Sunset Sound System and No Way Back parties around the sunny west-coast region, yet it's only recently that his name has reached across the pond. Perfectly blending the energy of techno, disco, house and electro with the edge of punk and psychedelic rock, Solar has all of a sudden pushed to the front with his recent sets for Beats in Space, Boiler Room and Dekmantel. 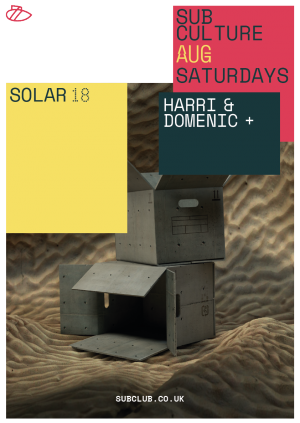 Support on the night from Subculture residents Harri & Domenic.